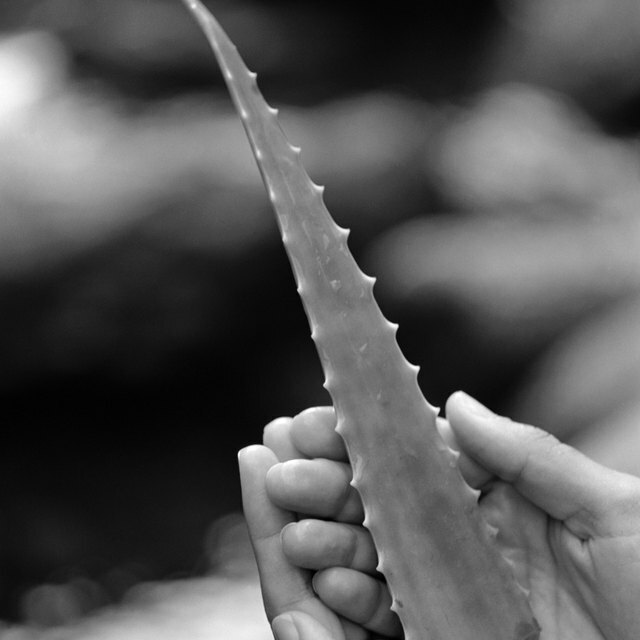 What Are the Benefits of Aloe Vera Gel, Lemon Juice, Castor Oil & Hemp Seed Oil? Can Ghee Improve Dark Under-Eye Circles? Ghee may help with removing dark circles under the eyes. 2 What Are the Benefits of Aloe Vera Gel, Lemon Juice, Castor Oil & Hemp Seed Oil? Ghee is used in a variety of ways in the Indian tradition of Ayurveda, from cooking to cleansing the body. An oil rich in nutrients, ghee is stable at room temperature and stays fresh for a long time. One way that ghee is used in Ayurveda medicine is for eye health, including the removal of dark circles under the eyes. Proponents of Ayurveda often recommend cleaning the eyes and the area around the eye with ghee to heal a whole host of health issues, although the efficacy of using ghee in this way has never been proven scientifically. Ghee is butter that has had the milk solids and water removed, according to Peter J. D'Adamo and Catherine Whitney in the book, "Cancer: Fight It with the Blood Type Diet." They explain that ghee is traditionally used in Ayurveda, the Indian form of medicine, for healthy cooking purposes. Ghee is said to stimulate digestion better than any other oil and to increase immunity function. It is the immune-enhancing component of ghee that may help with dark circles under the eyes. In Ayurveda, it is believed that the eyes are susceptible to imbalances in the body, according to Reenita Malhotra Hora in the book, "Inner Beauty: Discover Natural Beauty and Well-Being with the Traditions of Ayurveda." Ghee can help with these imbalances, purported to come from heat, dryness or swelling. The result of these imbalances can include red eyes, fine lines and dark circles. Hora recommends massaging the area under and around the eyes with ghee every day. 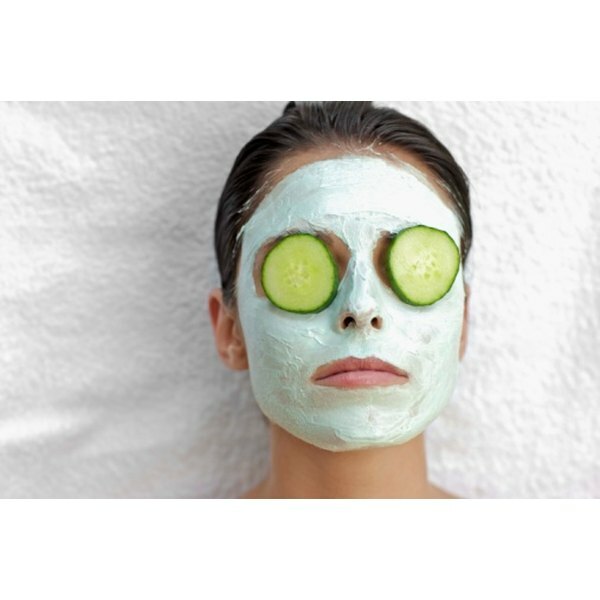 This may help with eliminating dark circles in the area. She goes beyond this and encourages washing the entire eye with ghee using an eyecup, stating that cleaning the eye is important to the health of the areas around the eye, though this is not recommended unless under the care of a professional. In the Yoga Journal article, "A New Look for Your Eyes," author Jeanne Ricci notes that Ayurvedic practitioner Mary Jo Cravatta recommends taking 1 tbsp. of ghee internally each day for dark circles under the eyes. In his book, "The Ayurveda Encyclopedia: Natural Secrets to Healing, Prevention, & Longevity," Swami Sadashiva Tirtha notes many benefits for cleaning the eye area with ghee beyond just removing dark circles. These include relieving tension in the eye that may lead to loss of vision, pain or fatigue, glaucoma and cross-eye. Also, it is said to nourish the nervous system, make eyes brighter, remove wrinkles and improve complexion. There is no scientific proof that ghee will help with dark circles under your eyes. If you are lactose intolerant or allergic to dairy, ghee could feasibly have a negative effect on your skin. Dark circles may be a sign of food allergies, lack of sleep or a more serious medical condition, so see your doctor to determine the cause.